Well, right off the bat, I have to admit it doesn't seem like there should be any difference between WordPress.org and WordPress.com. I mean, why would there be? After all, if you go to Microsoft.com or Microsoft.org, you'll still end up in the same place. You'll be surprised, but WordPress.org and WordPress.com are two entirely different websites -- and have been created for two entirely different purposes. In this guide, we'll get to the bottom of this! 'But wait! I don't have time to go through this whole thing -- I just need the meat and potatoes!' Don't worry, I hear you. Checkpoint #1 marks off the essential info on the differences between WordPress.org and WordPress.com, as well as which one to choose and when. Feel free to stop reading there if you're in a hurry. It's a two-minute read. Checkpoint #2 marks off our side-by-side comparison of the pros and cons of WordPress.org and WordPress.com, and includes a quick how-to on getting started with each platform. If you just need the basic information to help you make an educated decision, then you can stop reading here. Checkpoint #3 marks off our in-depth discussion on the finer details of each platform, the cost comparison, features, support, ease of use, and maintenance required to run your website with WordPress.org vs WordPress.com. Read it if you really want to get to the bottom of things, and learn everything there is to know about the differences between WordPress.org and WordPress.com. While they're both all about providing you with a website, each one does so in a fundamentally different way. Choosing WordPress.org is like buying a car; choosing WordPress.com is like signing up for long-term car rental. Not a taxi. Not an Uber. Long-term. When you buy a car, you get all of the responsibilities that come with being a car owner and having the vehicle in your possession. For instance, you have to take care of the maintenance, make sure it works properly, change the oil, make sure it's safe to drive, and so on. When you're renting a car, you still get to drive it every day, but you get all of the maintenance handled by the company. It sounds like a great deal at first, but this also means you can't modify it in any way that doesn't have the company's approval. Essentially, you just get to drive it. Period. It's more or less exactly like that with WordPress.org vs WordPress.com. Checkpoint #1. This marks off the essential information on the differences between WordPress.org and WordPress.com. You're in full control of your site, and can do whatever you want with it. It has extreme customization capabilities. You get access to thousands of plugins, and can install any of them. 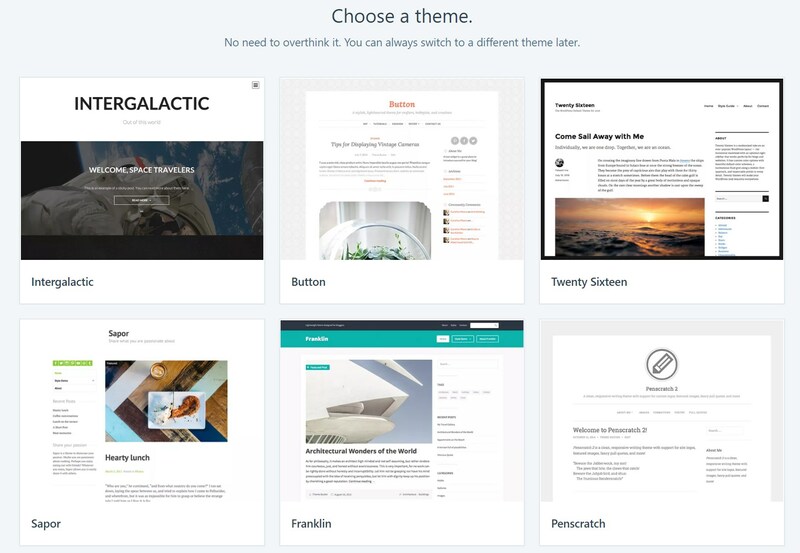 You get access to thousands of themes. 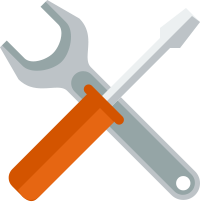 You can build your own plugins and themes. It's great for an ecommerce site. The source code of WordPress is available under GPL. This means you're allowed to modify even the core files of the software. You're free to monetize your site however you want. Affiliate links, ads, sponsorships, direct apple pie transfers. All is allowed. There's no hosting included. You need to get a hosting plan on your own. There are no domains or subdomains included. There's no added security above the default abilities of the WordPress software. It has a (slightly) steeper learning curve. There's free hosting included even with the free plan. There's a subdomain available free of charge (YOURSITE.wordpress.com). All maintenance is handled by WordPress.com. The site customization options are very limited. Only a limited number of themes are available (with limited customization options too). You don't have full control of your site. In fact, at any point, WordPress.com can decide they don't like what you're doing, and shut you down completely. You're not allowed to use third-party plugins. You can only use pre-approved plugins. You can't monetize your site via ads or affiliate links. Get a domain name from GoDaddy or Namecheap (or somewhere else). Go to a hosting company of your choice. Buy one of the available hosting plans. Hook up your domain to that hosting plan. Tell the hosting provider to install WordPress for you. Yep, you're reading this right... There's no step here requiring you to actually visit WordPress.org. After that, you have your blank installation of WordPress, and you can start tuning up the site to fit your needs. This usually involves looking for a theme and plugins. But we won't get into that here. Note: As an alternative to the process described above, you can also take a more manual route when it comes to WordPress installation. Here's our guide on how to do that. 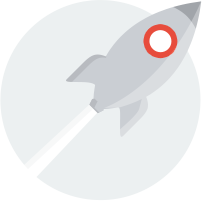 There are just five steps to getting your site launched -- pick the site name, the theme, a free or paid plan, and so on. It's quite intuitive, and, at the end of it all, you get your own WordPress.com account, which is where you'll work with your site going forward. Checkpoint #2. This marks off our side-by-side comparison of the pros and cons of WordPress.org and WordPress.com. In most cases, this will be enough information to make an educated decision. With the basics out of the way, let's go through all of the fine differences between WordPress.org and WordPress.com. WordPress.org is a software platform, and, more specifically, a free and open-source software platform. This means you can go to WordPress.org and download the main WordPress package for free. No strings attached. That being said, actually using WordPress.org in a real setup requires you to spend some money here and there. Domain name (usually around $10 a year). cheap plans start at around $4 to $5 a month; the higher tier is $20 to $30 a month; 'advanced' is $100-plus a month. custom themes are around $30 to $100 apiece; hiring a designer... the sky is the limit. You can also use free themes. usually $10 to $100 apiece. 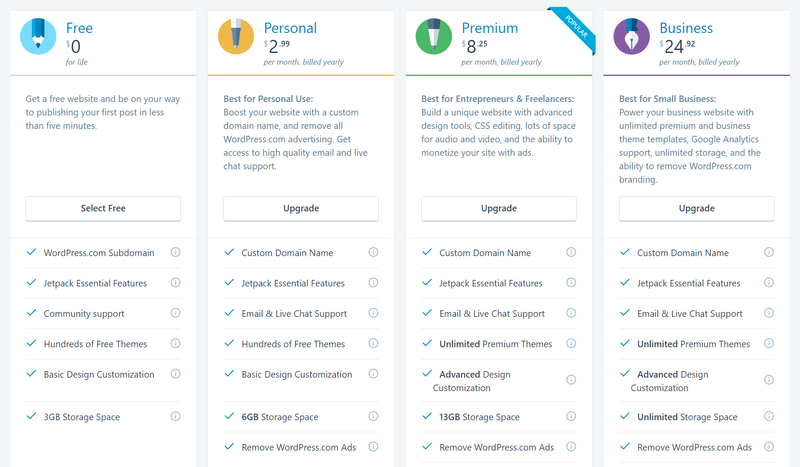 In that light, launching your WordPress site using a free theme and free plugins is still going to cost you at least $58 a year (domain plus good hosting). WordPress.com is a subscription-based service. As such, it offers both free and paid plans. Right up front, the great news is you can actually get a completely free website from them with no hidden costs. 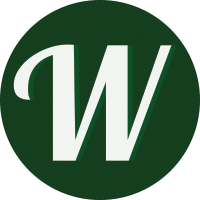 A WordPress.com subdomain -- e.g. EatAtJerrys.wordpress.com. Some free WordPress themes/designs to choose from, with basic customization options. Honestly, this sounds awesome, and it's really incredible that you can get a 100% functional website for free these days. But it does come with downsides, and we'll talk about those in a minute. I know my opinion on this probably isn't the most popular among WordPress people, but WordPress.org isn't the most easy-to-use solution out there. First off, the installation itself isn't straightforward. That's mainly because you're required to have a handful of things up front: A domain name and a working hosting account. Then, I don't think it's sufficiently clear that after the installation you should go out looking for themes and plugins to make your site fit your needs hand-in-glove. You're somewhat left to your own devices. But things do only get better. Publishing content with WordPress.org (posts and pages), for example, is more than simple. Like most subscription-based online 'things', all you need to get started is your email address. WordPress.com has a simple signup page (mentioned earlier), and it doesn't require you to own a domain name, nor an external hosting account -- those are all handled within WordPress.com. That being said, during that signup process, you do get the opportunity to get yourself a custom domain name too, but it's still all done within WordPress.com, which is very convenient. So, after you get through the standard signup process (email, password, pick your site address, and so on), you immediately get to log into your account and begin interacting with the platform. Now, something you'll soon realize is that WordPress.com is not only a blog writing platform, but also a blog reading platform. As part of the main WordPress.com Reader, you can subscribe to other blogs, and track their latest posts through your dashboard. This is WordPress.com's spin on creating a social network. Of course, there's also the other part of the dashboard where you get to build and manage your site (or sites, as WordPress.com allows you to have more than one). When it comes to giving your site a unique appearance, WordPress.com makes this a lot more intuitive than WordPress.org. Two of the five steps during the installation process deal with themes. First, you're asked about the general layout of the site you're interested in, and then you can pick a specific theme that has that layout implemented. Publishing content itself is similarly simple to WordPress.org. Or maybe even simpler. Okay, it's something like 10% simpler, roughly. There's no other way to say this, and I won't even keep you waiting, this category goes, hands down, to WordPress.org. Quite simply, if your answer to, 'What do you want to do with your site?' is 'Whatever I damn please!' then WordPress.org is the platform for you. Under the hood, WordPress.org and WordPress.com are pretty much the same software. I mean, if WordPress.com and .org were cars, they'd have the same engine. 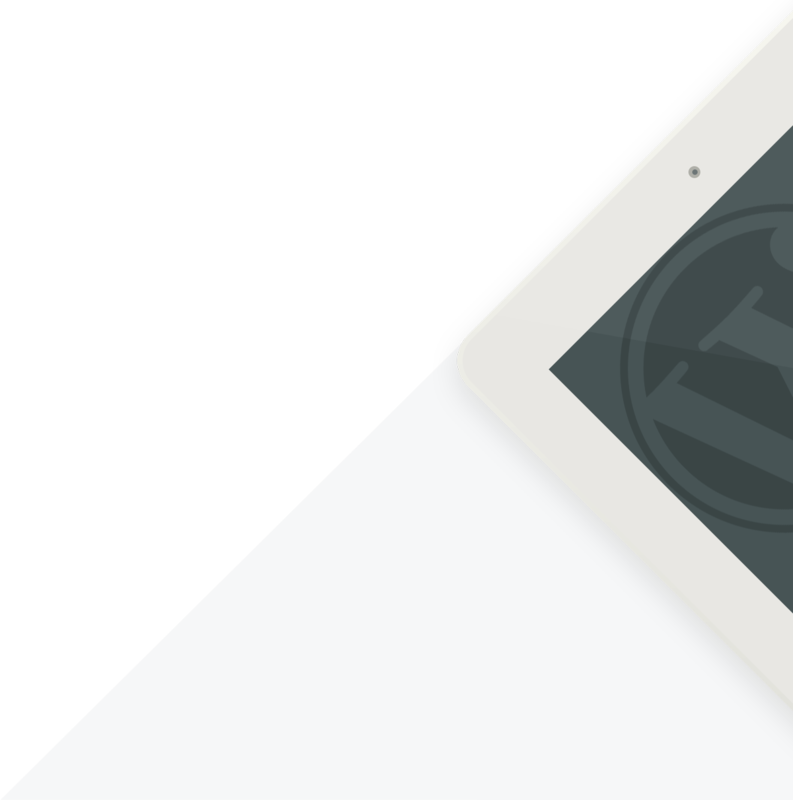 So, setting the core features aside, let's look into what else is on the market -- namely, how you can extend the standard set of WordPress' features. If we go to the official plugin directory of WordPress.org, the counter at the top (at the time of writing) says there are more than 47,000 plugins available. Again, that's more than 47,000 additional scripts that extend WordPress.org's default functionality in some way. In fact, it's really hard to come across a challenge in relation to WordPress that can't be solved by a plugin. WordPress.com, on the other hand, doesn't let you install plugins per se. What you get is a limited range of prebuilt features that you can enable when needed. However, if you're missing something that's not available through the dashboard at WordPress.com, then... tough luck. Next, an aspect that's not apparent right away: With free WordPress.com, you're not allowed to have your own ad blocks on your site (sponsors, ad networks going to your account, and so on), or even any affiliate links. Instead, what you get are ads from WordPress.com's system. This is basically the price you pay for having the platform for free, they say. With WordPress.org, there's no such problem. You can run any ads you like. Then, there's another elephant in the room: The themes/designs available in WordPress.org and WordPress.com. WordPress.com gives you access to a couple of hundred pre-approved themes (both free and paid). There are only limited customization options available in those themes -- for example, you can't edit the source code. WordPress.org wins here too. There are thousands if not tens of thousands of themes available on the web. 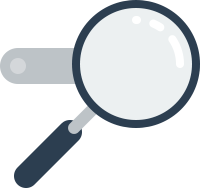 Free themes, paid themes, simple themes, multipurpose themes, drag-and-drop huge themes, minimal micro themes -- there's really everything. Everything! And lastly, if you want to use WordPress for any form of ecommerce, WordPress.org is basically your only solution (and the excellent WooCommerce plugin on top of it). 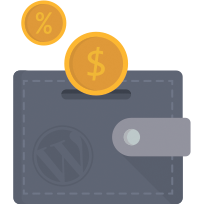 Technically speaking, WordPress.com allows you to launch an online store too, but the price tag on that starts at $25 a month. Let's cover support first, since it's going to be quicker. Well, okay, you get what's called 'community support' for both WordPress.org and WordPress.com (the free plan). What it means in practice is that if you're having a problem, you can submit a question to the forums. For any paid WordPress.com plan, you get email and live chat support, which is way better. So the support round goes to WordPress.com. In short, if you're with WordPress.com, and even on the free plan, you don't need to worry about any sort of maintenance. It's all handled by the WordPress.com team. You just enjoy the platform. taking care of any crashes, errors, or other problems when they arise. Granted, all of the above can be partially taken care of by your web host -- usually only available on managed WordPress hosting plans. But, most of the time, maintenance with WordPress.org is all on you. In the end, WordPress.com has an edge when it comes to maintenance and support. Checkpoint #3. This marks off our third and final part of the WordPress.org and WordPress.com comparison. Got to grips with WordPress.com vs WordPress.org? Nice! What's next? So there you have it: the differences — and pros and cons — of both version of WordPress in a nutshell. If you're willing to put the time and effort into learning all that's necessary, WordPress.org will open up a whole world of possibilities! It is, quite simply, the much much more empowering version. That said, it does require a little more commitment and won't be right for everyone by any means. Ultimately, the decision of which to choose rests with you — so take your time and choose wisely. Good luck!